No thanks. We’ll call back later. I’ll be honest. I don’t spend a great deal of time being thankful I’m not British. Quite the contrary. Voters will be given the power to rewrite laws under Tory plans to transform the way parliament works by importing a popular scheme championed by Barack Obama in last year’s US election. Under the Tory plans, a parliamentary bill would be introduced in the way it is now. The first and main debate – the second reading stage, in which the broad principles of the proposed new laws are debated on the floor of the Commons – would be held in the normal way. But once MPs have held this debate, the bill would be thrown open to voters before it is considered line by line at the committee stage. A website would allow voters to comment on and rewrite the broad principles of the bill, and individual clauses. Contributors would rank comments so the most popular suggestions appear at the top. This is similar to mixedink, which allows voters to argue for and against various policies and suggest their own ideas. I have a question for the hapless Mr Hague, who has the misfortune of floating this trial balloon: have you ever been on the Internet? Seriously. The difference between an actual policy debate and that which you’re likely to find through such a “popular legislative process” is like the difference between Glee and, well, an actual high school a capella group. Don’t believe me? Go onto the comments pages of The Guardian, or Politico, or indeed the one or two occasions somebody I don’t know has commented on this blog. If you believed what you see on the internet not only would you not want the people to make law, you wouldn’t want them to vote for the ones who do. I feel a little bit of indignation bubbling up in you already. What an anti-democratic argument! Well, maybe. But then the internet isn’t really democratic. In the UK, as I’ve written before, things have gotten a lot more virulent even than America, but the question still remains: why do these evil corrupt Congressmen or MPs get to make our laws? Because we keep choosing them. They may be unresponsive, lazy sexual predators with their snouts planted firmly in the trough, but they are ours. Both in theory and in practice there’s nothing stopping anyone from choosing somebody different. To go further there is no excuse. But people on the internet – by whom are they chosen? Who decides that they are “the people,” that they speak for some unrepresented segment of the population? Precisely no one. They choose themselves, and the reason indeed that they are so often ignored is precisely because of a chronic inability amongst much of the blogosphere to follow basic rules of civility and reason, much less digest complex topics like the cod quota or the politics of disarmament. Of course, one might reply, anyone can participate. Those who do cannot be held responsible for those who do not. True perhaps, but that is to elevate the theory at the expense of the practice. If there were such a system, in which people could alter legislation, online, at will, and assuming in Wikipedia-style fashion anyone could, who would actually do it? Not everybody. Not the people without access to computers and/or the internet (in the US at least 20%, according to the International Telecommunications Union; I couldn’t find UK statistics but it’s probably comparable or higher; broadband penetration is far lower). Higher proportions – far higher – for the poor, blacks, etc. Scratch most of those who work full-time or more. Mothers with children are probably out, especially if they’re single parents (of either gender). Tinkering with legislation won’t pay the mortgage. So who will be left, besides these groups too “apathetic” (i.e. struggling) to care? The wealthy, the bored, and of-course-I-know-best political obsessives who are too reserved, selfish or extreme to actually seek office for themselves. (Read: me.) I don’t doubt a few decent people will trickle through – but I don’t doubt they’ll trickle back out again, most of them. The effect will be that the best-off, most-driven and frequently most-extreme people will take advantage of the opportunity to wreak havoc on the legislative process. They will be little dictators each and every one. The example of Wikipedia is instructive. From its roots as an open source encyclopedia, it has gradually resolved into an organization with permanent staff, a bureaucratic structure that includes courts to resolve disputes between editors and a model heavily-dependent on a few very devoted and profligate senior editors, trusted through their experience and seniority to protect the vast store of information from the ever-present prospect of vandalism. At least with Wikipedia I can still, if I like, go in and make productive changes. With the law there’s no such chance: once it’s done, it’s done. There’s no “work in progress” about it. This is not to defame the prospect of models like open source governance. It is promising. But it is also young. And this is true of the whole Internet – it moves far faster than even the most youthful and adaptable of its users (and certainly moreso than the legislators tasked with putting it to some political use), and law as an institution depends on consistency far more than adaptability or representativeness. It’s far more important than you can count on the law than that it be modern or include you in its construction. Most murder laws were written under an incomplete franchise. That doesn’t make them bad laws. This policy, like most attempts to shoehorn the internet into law-making, is trying to fit a square peg into a round hole in an attempt to figure out where your sphere went. It is the wrong solution to the problem of disengagement and inclusion. Want the public to get back into politics? Empowering a few frothing obsessives is not the answer. Try public holidays on election day – public holidays in general. A reduction of the work week so people have more time for politics. Or subsidized child care. Mandatory overtime. Compulsory voting. All very scary and socialist ideas probably. But at least they have the benefit of being fair and of appealing to what is, in fact, the people, rather than those of their number who are indolent, obnoxious, and bored. Uh… no. There’s a public option, there’s a public option, and there’s a public option. And they’re all the public option. But thanks for that. Though I suppose he’s right in the sense that no matter what a public option looks like he’s perfectly incapable of preventing any of these children from being devoured by Cronus, especially when there’s a half-billion dollar effort afoot to defeat the public option (and keep the bill, now that includes a mandate to buy health insurance at perhaps the worst possible time since World War II). Of course this appeared in a British, not American, paper. I don’t think it’s a cover up. I think we’re just deadened to the influence of this money in the legislative process. Given the expense of electoral politics these days, why not? Perhaps processes like these would be a mite easier, if not more civil if we asked the question “Why not?” – and forbade mention of Hitler, or Stalin, or anybody wanting anyone else dead, in the answers. Our German friends went to the polls this evening in what was variously described as a “yawner,” “soporific” and “one of the dullest in living memory” in which turnout reached a record low. How low is as yet unclear: there seem to have been about four million fewer votes cast this year (depending upon the number of outstanding ballots). That kind of drop should translate to a fall of 5-7 percent in terms of turnout, for a “lowest ever” result of around 70-72%. However I would submit that this has been a crucial poll for both Germany and the world. Suffice it to say that Germany remains, even now (especially now), the economic engine of Europe. Their unemployment is now below even our own – the benefit of a strong social safety net built at great cost during years of boom – and the first shoots of global recovery have appeared there. Along with France it essentially decides the direction of Europe, flail though Britain might (indeed, rightly or wrongly); it is a cornerstone of America’s Afghanistan policy, its European policy, its Iranian policy, its Russian policy… I run on. (And could.) But in short, this was an election of great significance to us – and not, indeed, just for foreign policy. What is happening in Germany is heading for us, too. On a basic level the political system is – was – dominated by two large parties and a number of smaller ones. The Christian Democrats (CDU/CSU) are centre-right – though the name falsely implies some commitment to clericalism, more prominent in their Bavarian branch than generally. 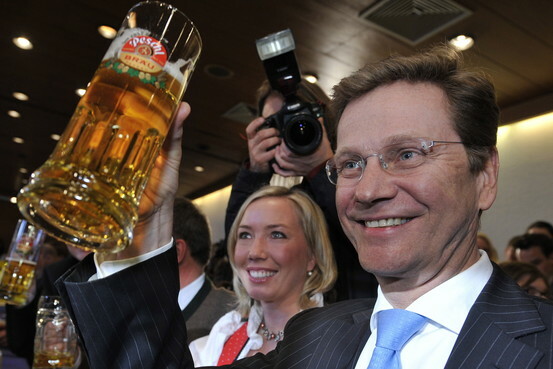 They’re generally the party of rural areas, the country, and the south of Germany, especially Bavaria. The Social Democrats (SDP) are centre-left – the party of the unions, workers, cities, especially in the north. They have between them provided every Chancellor in modern German history. In addition there are the Free Democrats (FDP, known colloquially as the ‘Liberals’), re-established along with the SDP and CDU/CSU at the refounding of the Republic. They’re just that: though what we would call relatively “progressive,” as with most modern classical liberals – sounds weird, especially as in America we term it “libertarian” – what the FDP really cares about is economics and driving government out of business. As such it’s slightly socially moderating to either the SDP or the CDU/CSU, but economically quite radical. Wealthier, college-educated urban Republicans would be quite at home here, and the FDP appeals to an educated, wealthy urban/suburban demographic. Unlike other democracies (and totally unlike the US) Germany does not allow a leader to have less than the total support of Parliament, called Bundestag; that means no minority governments as in Canada. Throughout most of modern German history neither major party could gain a majority in parliament. This meant not only that the FDP always chose who governed, but assured that they were almost always in government. Though they were always the bridesmaid and never the bride, this made them relatively impervious to shifts in the electorate or their own vote totals. Vice-Chancellor Genscher thus served in that role for twenty years and was continuously in government for twenty-five years under three chancellors. Neither party cared much for them, but there was rarely a way around them. But in the 1980s two other forces have appeared. The first were the Greens (known as Bündnis 90/Die Grünen, or Alliance ’90/The Greens, after the coalition between Western and Eastern parties formed after the fall of the Berlin Wall). Starting slowly the Greens eventually shucked off their origins as a protest party and became willing to join a government (perhaps reflecting their growth from a niche environmentalist party to the favored outlet of the wealthy, urban left). This was a major development: for the first time a government could be formed without the free-market FDP, making a socially leftist government possible. It also tipped the subtle balance of German politics; given the unlikelihood of the Greens’ siding with the conservative Christian Democrats, it had the effect of opening up possibilities for the Social Democrats while driving the FDP even further into the CDU’s arms, as for the first time they faced opposition without them. Reunification brought with it a new party. First called the Party of Democratic Socialism, then combined with a coalition of ex-SDP members, the Left is a motley crew of ex-East German communists, far-left anti-communist reformers, disaffected Greens and Social Democrats, frustrated workers and welfare recipients. It is the first quality that has made them anathema to the rest of German politics: initially it met with a cordon sanitaire of the type deployed in the Netherlands, Belgium and France to stop extremist parties from joining government. At first it didn’t matter: the Left was a small party focused mainly in the East, so drawing fairly equally from potential CDU/CSU and SDP voters, and for the first decade of its existence it struggled both to repudiate communism and connect with the electorate. That changed in 2005. The economic reforms of SPD chancellor Gerhard Schröder managed to trigger a Bangkok dilemma: his actions were considered unacceptable to leftists and insufficient to rightists. The Greens, in power for the first time since 1998, occupied only three or four non-economic ministries and provided little resistance. In 2005 the SPD-Green alliance rallied on the back of the personal unpopularity of Angela Merkel, then CDU/CSU leader; but it was to no avail. The government lost its majority. But the CDU/CSU did not gain one. Indeed they lost nearly as many seats as did the SPD. 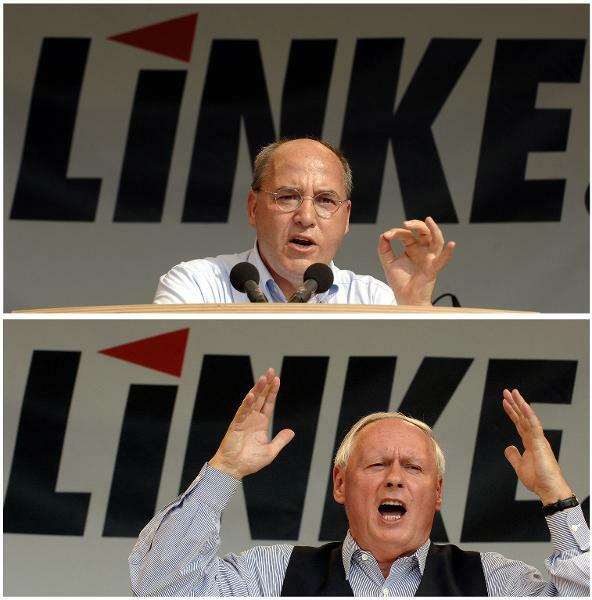 The big winner was the Left party, now co-headed by a high-profile SPD defector, Oskar Lafontaine. Lafontaine and others balked at Schröder’s reforms, which were seen to be uncompassionate, excessively pro-business and – worst of all – Anglo-American. From a low of just two seats in 2002 the Left gained 54. This is basically because the German system, mixed-member proportional, makes big changes between major parties require big changes in the overall vote. This rarely happens, and a government has a majority of only 20-40, including coalition partners. Drive a wedge of 54 into that – 54 members of Parliament that no one will have and that consequently will vote against anyone – and you have a problem. Germany had that problem. No coalition of two parties gained a majority. Of the many options only one was plausible: a “grand coalition” of both CDU/CSU and SDP. Despite predictions they survived the entirety of their four year term. But predictably Merkel and the CDU/CSU entered the election with a big lead over the SPD. The entirety of the election campaign did nothing to dent that lead. The traditional CDU/CSU-FDP coalition “won.” But this was on a very small increase in seats (13) for the CDU/CSU (and a drop in votes). These were mostly “overhang seats,” a German quirk which basically awards bonus seats because an opponent wins more individual seats than their party vote would allow. This benefits the two major parties, as they win most of these single-member seats on the basis of strong regional and local support. (It makes its last appearance this year – German courts ordered it quashed by 2011.) The SDP lost a record 76 seats and came an anemic second. Here’s the kicker, though: both major parties had their worst result ever. Only a bare majority of Germans voted for both parties of government combined. The FDP surged to 93 seats (the CDU/CSU had 239), which means their partners will contribute some 30% of the coalition’s total, a number unprecedented in Germany and indeed most modern parliamentary democracies). This was the greatest night in their history. Their success has been so profound that they are actually within striking distance of being Germany’s second party – an unheard-of development. Both the Greens and the Left also had the best nights in their history. Though they maintained only their single constituency seat, in urban Berlin, the Greens surged over the 10% mark for the first time to take 68 seats. The Left did better still – they surged to 13 constituency seats, including a majority of those in the state of Saxony-Anhalt, and rose to 76 total. Only the success of the FDP prevented the Left from forcing the two main parties back into grand coalition. For the first time, the three opposition parties’ total votes and seats outnumbered either of the two parties of government. It can’t be surprising that the collapse of the SDP aided both the Greens and the Left – despite leadership under leader Steinmeier which, if not stentorian, was not at all disastrous. The SDP is at serious, even terminal risk of becoming merely a pan-German leftist fraction, splitting their traditional voters with the Greens in the West and the Left in the East. There is no love lost between the two, especially as the Left is (bizarrely) depriving the Greens of some of their anti-establishment luster. But Merkel must be said to have lost, too. Her majority comes from the FDP’s success and they will not fail to let her know it. Worse, whereas the grand coalition allowed her to govern “above politics” while avoiding any difficult questions – with the SPD’s tacit consent – the FDP have become unashamedly radical in their economics and their opposition to green politics, and they will push Merkel in their direction. She cannot simply shrug, as she did with the SPD, and agree that the differences are irreconcilable for the sake of the government. (Hence the suggestion that she actually preferred the prospect of a new grand coalition.) The FDP will take their ball and go home if she doesn’t give them almost everything they want, and it’s likely she’ll do just that. The consequence of not doing so is implicit in this interview, where the FDP leader tries to put down fears about a “centre-right” government: this “party of all people” is perfectly capable of making a government itself one day, especially if they continue to shine in the face of a taciturn, unhelpful Christian Democrat majority. “We wanted reform – our own allies betrayed us,” etc. Clearly people are fed up in general, and there is a sense that the financial crisis has revealed that the traditional manner of doing business – by whomever – has failed. All three smaller parties were fired up; anyone in government is meanwhile seen to be tainted. This is a trend that has been growing and escalating as the post-9/11 world has taken shape. It will continue to do, especially if the far right-wing National Democratic Party – neo-Nazis in all but name, handicapped only by being run through with agents of the security services – manages to begin making an impact. So far, though, Germans are far more ready to cast a ballot for ex-communists than neo-fascists. These trends: the decline and fragmentation of major parties; surge in support for parties with more hardened, philosophically coherent (and so inflexible) beliefs on the fringes of the political spectrum; and an increased tempo of attacks by the mainstream against that fringe which has the effect merely of eroding further their own popularity; they don’t exist in Germany alone. Britain, France, and the US face similar problems and have electorates of similar prosperity and more similarity of mind than many think. They may not vote for the same things, but all follow the same cues. In the UK all three parties have been hurt by the financial crisis and the related row over MPs’ expenses. As in Germany, the collapse of the primary center-left party has not unlocked a surge for the center-right: people want Labour out but they don’t want the Tories in. In the meantime disaffection with the political system and calls for reform are reaching a fever pitch. A brief surge in the popularity of independents and other parties seems to be abating, but then there are established fringe forces to turn to: the conservative anti-European UKIP, the Welsh and Scottish Nationalists, and the ultra right-wing BNP. As yet there isn’t really a well-organized leftist force along those lines, partly because of the defeat of the unions by the Conservatives and the Trotskyists by Labour coupled with the presence of two established, mainstream left parties who can exchange votes between them. Strangely in a solely first past the post system, like the UK or US, you seem to get more minor and fringe parties than you ever do in a country that actually lets them win. In France personality politics seem to count for more than ideologies (and really, Gaullism‘s less an ideology than a state of being), but the success of the National Front – they made it to the second-round of the French presidential election in 2002, which saw Jacques Chirac re-elected with 82% by a coalition of mainline conservatives and leftists of all stripes who encouraged a vote for “the crook, not the fascist.” Though the rare and unexpected success was not repeated two years ago, terrible splits rage through the political class as the Socialists continue to gleefully tear each other apart and the entire ruling class of the governing UMP is embroiled in the Clearstream trial (or, put so much more delicately in its native italics, L’Affair Clearstream). 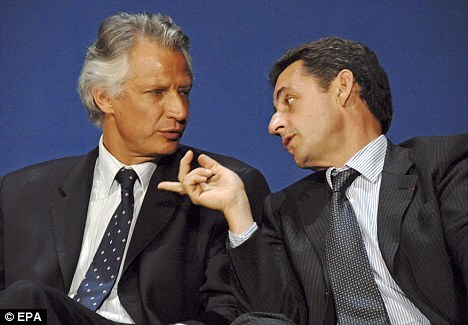 Clearstream sees the President of the Republic, Nicholas Sarkozy, suing the last Prime Minister, Dominique de Villepin, for allegedly falsifying a document listing Sarkozy as the recipient of a defense kickback. Such behavior obviously makes off-the-grid candidates like young Communist leader Olivier Besancenot and perennial Franco-German Green Daniel Cohn-Bendit more palatable to the general public. Interestingly 2007 saw a moderate force appear and challenge the two main parties for the presidency, the Democratic Movement under Francois Bayrou; but after failing to endorse either remaining contender and disappointing results in parliamentary and European polls it looks to fizzle. People can say what they will – nobody votes for a moderate party. Canada faces an even more daunting prospect. Unable to form a majority government after three elections in four years, with another looming, the Parliament split between the center-left Liberals and center-right Conservatives is further cleaved by the increasingly left-wing New Democrats and the Quebecois sovereigntist Bloc. Add atop that a Green Party which polls 10% but doesn’t win a seat and you have a centre-right, and at times quite right-wing, government for whom only about 35% cast a ballot, against left wing votes of something like 52% (and a further 10% who would prefer not to vote in Canada at all). The continuing inability of Ottawa to form a government is really a consequence of the annihilation of the Progressive Conservatives at the 1993 election, masked for eleven years by outsize Liberal majorities drawn from the resulting chaos. There’s little prospect of a similar fate for either the new Conservative government or the Liberal opposition – though one might take the selection of a philosopher as their leader to be a sign of some despair – but a snap election today would probably ratify that of the last two polls. This is no “message” from the people, besides that they don’t much care for anyone they have and don’t think it’s worth voting for anybody they don’t. Quebec, lacking a separatist majority, is so divided between the mainstream parties that it returns almost uniformly separatist members who wouldn’t take part in any government (despite a half-baked attempt to replace the Tories with a Liberal/NDP coalition with Bloc support, which triggered an extraordinary dissolution of Parliament and a change in the Liberal leadership. And then there’s the USA. Our situation is a bit different because of the overwhelming difficulty of altering the basic structure of our government (which assures it’s only been done once or twice, and then relatively minor changes); the non-parliamentary system of government which makes it more difficult to logically tie a Congress together with a government; and the non-ideological political parties. Make no mistake: Democrats are liberal and Republicans conservative out of convenience. History is littered with liberal Republicans (and continues to be clogged with conservative Democrats). Our parties are first and foremost regionalist. The American system – for reasons totally alien to its practice – tends to suppress most of these movements. That’s the effect of the primary system: force dissident candidates to fight intraparty elections rather than stand independently or found a new party entirely. Like most of the progressive reforms of the early 1900s, primaries have had unexpected and almost totally anti-democratic side effects. (Thanks for that, WJB. Where was that cross of gold again?) Not for nothing are the British Conservatives, riven themselves with internal dissent and still broadly unpopular, adopting the primary for their own candidates. The object then becomes not the creation of new parties but the “capture” of existing ones. The Democrats and Republicans are subject to an unending series of political, ideological and personal coups as different factions with different priorities attempt to seize control of the party – and through them government – via favored candidates. (Hence the otherwise inexplicable vitriol on the liberal wing of the party towards Hillary Clinton, not usually thought to be a McCarthyite herself.) Even these movements are often as geographic or personal as ideological – Nancy Pelosi has ensured the placement of liberal, Californian allies at the head of a number of key committees, even ousting and replacing John Dingell (Michigan – Ann Arbor and Detroit Suburbs) on the Energy and Commerce Committee. But even this broad, non-ideological two-party consensus – encompassing a space which would otherwise be occupied by five or more parties were they ideologically- or geographically-based – has come under increasing strain. Progressive Democrats are having a harder time governing with conservative Southerners now than at any time since civil rights and the phenomenon of Sarah Palin, Joe the Plumber and other populist figures have driven a deep, festering wedge into the Republican ranks. In some respects this year really has been an extraordinary one. All of that plus the suggestion by a sitting governor that perhaps secession was legit after all and the inexplicable running battles over health care and climate (60% of the Congress is Democratic, yes?) and it’s no surprise that there’s a bumper crop of independents getting a lot of earlier exposure. America’s a weird case. In almost any other country I would say that both parties here are headed for a thumping (and both generally perform poorly in a generic ballot). But the Constitution was not designed for parties and did not lend us a system that manages the inevitable ones well; and the two major parties have had decades – indeed centuries – to craft everything to their advantage and build up structures necessary to blunt even the best-funded challengers. (We were speaking of Ross Perot.) It also hurts that there are little in the way of central party structures; parties are not national affairs as in Europe because America is not a metropolitan country, with a clear center and periphery. The people – political leaders, staffers, fundraisers – necessary, able and willing to craft any sincere challenge to the political center are not concentrated if they exist at all, and the ideological confrontation required for pieces of one party or the other to collectively defect simply isn’t there. Animus, even hatred, has not yet translated into intolerance. Part of that is because American politics is an older man’s game than most. They are simply not as passionate, or hot-headed, depending on your view. The party system we have will not last forever; but I can say that only in an abstract historical sense. It could go on for a hundred years or a thousand or ten or through the day after tomorrow. I don’t know. There are signs that it’s corroding, and badly, in a way incomparable to the past – but this isn’t quite unique yet. I am certain, if nothing else, that discontent with American politics will only continue to grow while the two parties continue their singular dominance of the country. Don’t be fooled by good turnout recently (and ours still isn’t very good); it’s the break in the fever that foreshadows a renewed attack of the virus. The bottom line is that it appears, at least to me, that the consensus built after World War II – not ideological, for that departed long ago, but the basic structure of how Western countries allow themselves to be governed – is breaking down. Record losses for major parties, record gains for minor ones, fringe candidates with growing bankrolls and calls, even here, for broad-based electoral reform. This evinces an entire hemisphere of people unsatisfied with their legacy. The common thread seems to be a belief that the major political groups, the parties of government, have sacrificed a coherent, rigorous system of beliefs for the possibility of a vague electoral mandate. Those parties and figures who reject that path, and prefer to offer an honest explication of their ideology, have begun to surge instead. (Though in Europe and Canada more than here.) If the parties of government are going to continue to be that in the future, the horror of triangulation and microtargeting will have to give way. Ideology must be on offer; not just “real beliefs” or “convictions” coupled with vague platitudes about a stronger future but systems of seeing the world, the civil society, politics and the place of government in them. Otherwise it will be extremists, unafraid to bare to the world their vision for it, who will benefit. For in a democracy ideological battles are no different than electoral ones: in the end it’s a matter of who chooses to show up. This is out of the English Der Spiegel in Germany, complete with video. They’re in the final weeks of a relatively boring, sanitzed campaign there – it’s hard not to be boring coming from four years of Seinfeld government – and apparently some local wags have decided upon a relatively, shall we say, unique campaign. Flash mobs are dispatched – a singularly inappropriate word, I know – to speeches by the Chancellor (and Chancellor-candidate for the CDU/CSU) Angela Merkel. At the end of every sentence – every single one – the mobbers shout “Yeah!” in the manner of an American tent revival. Presumably, this is not what they'd intended to cheer. Personally, I see it as no small reaction to the scripted, anemic character of modern political events. Anyone who has ever watched the excruciating display of a presidential speech, with every other phrase interrupted by polite semi-spastic applause from an acceptably docile audience (and despite exceptions this is no more true of anyone than of Obama) can appreciate the desire to break loose from this stultifying spectacle. In this sense the crowd’s repetition of whatever word Merkel concludes with is rather trenchant, wrecking the careful rhetorical balancing act that has turned every political statement into an act of Byzantine diplomacy, endlessly-dissected by a political lumpenproletariat that would make Marx blush. In the event, I would be pleased to see this trend spread. Perhaps I could even recommend a theme song for the Yeahppie movement. Tags: 2009, Angela Merkel, applause, big in the Bumdestag, Chancellor, Der Spiegel, election, flash mob, Germany, Grand Coalition, Obama, rhetoric, SPD, speechmaking, Yeah! This week a recently-released documentary on RTE, the Irish national television station, made a rather stunning claim: that at the height of the Troubles an Irish plan to invade and seize the North was seriously meted by the government of then-premier Jack Lynch. The documentary, If Lynch Had Invaded…, suggests that the incursion would have had dramatic consequences, including Irish ostracism at the UN and the likely decimation of the invaders by responding British forces. Though the veracity of the claim that Irish ministers actually pushed for war has been challenged, the fact that the ministers concerned were forced out or resigned shortly thereafter for covertly selling arms to the IRA doesn’t lend me much room for doubt. Either way it’s an interesting description of how far the benighted “Irish Question” has come, considering that a threatened British withdrawal from the North five years later was met by furious opposition from the Irish Foreign Affairs Minister.